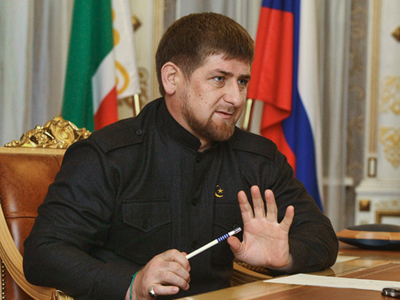 Ramzan Kadyrov, who secured a second five-year term as the leader of the Chechen Republic, was sworn into office in front of some 800 Russian and foreign guests. At the inauguration ceremony in Grozny, the Chechen capital, Kadyrov pledged to make Chechnya one of Russia’s most prosperous regions. “Thanks to the federal center and the heroic labor of all people, the republic has changed beyond recognition over the past four years,” Kadyrov told the assembled guests. He then stressed the many challenges, including terrorism, which Chechnya has successfully faced. 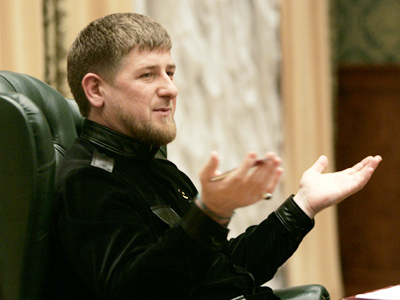 Ramzan Kadyrov stressed that the individual prosperity of the residents of the Chechen Republic is strongly tied with the stability of the entire North Caucasus region. He promised to support efforts aimed at strengthening the unity of the region. 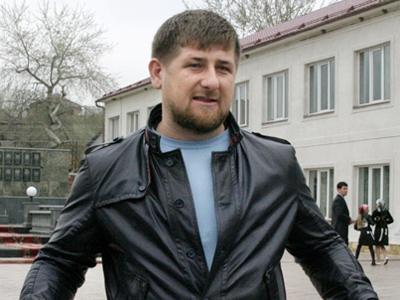 Interestingly, 35-year old Kadyrov bore the title of president for the most part of his first term that started in 2007, but in 2010 he decided to change it, saying that there must be only one president in the Russian Federation. 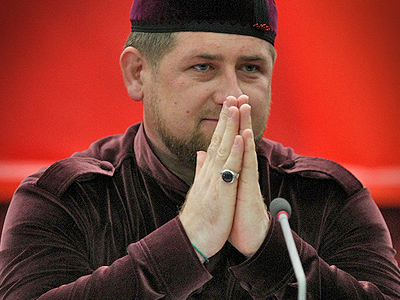 In accordance with Russian law, Kadyrov’s candidacy was suggested to the regional legislative assembly by the President of the Russian Federation and on March 5 the Chechen parliamentarians approved it. The inauguration guest list, described by Chechnya’s press service as comprised of “persons who have done a lot for the republic,” included Russian politicians, businessmen and artists, as well as a number of Muslim figures from Russia and foreign countries. Russian President’s envoy to the North Caucasus Federal District Aleksandr Khloponin read message with congratulations from Dmitry Medvedev in which the president praised Ramzan Kadyrov’s role in fighting international terrorism and economic development of the republic. Prime Minister Vladimir Putin also sent congratulations to Ramzan Kadyrov and called him a true patriot expressing hope that the Chechen leader will do a lot for the benefit of his republic and the Russian Federation as a whole. 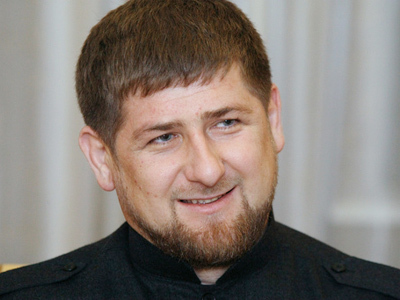 The newly inaugurated leader expressed his gratitude to the Chechen people for supporting the political course initially set by his father, Akhmad Kadyrov, who was a Muslim cleric before becoming the leader of Chechnya. He was killed on May 9, 2004 when an explosion ripped through the VIP seating at the Dynamo football stadium in Grozny. Before the opening of Ramzan Kadyrov’s inauguration, the Muslim guests paid their respects at the gravesite of Akhmad Kadyrov.